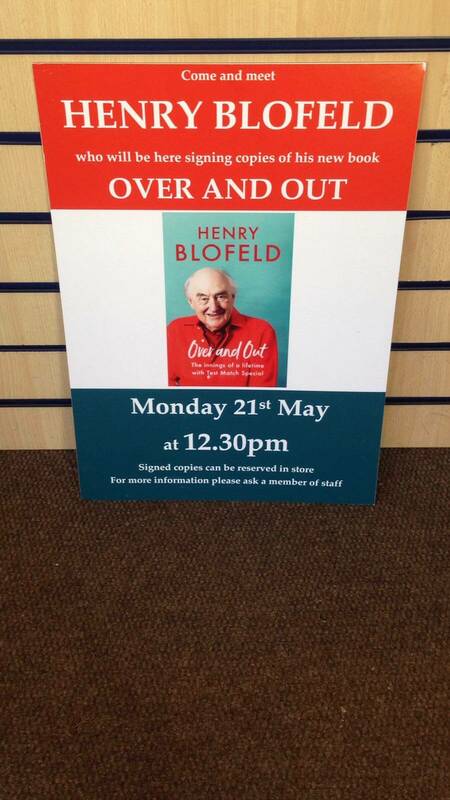 Recently retired cricket broadcaster Henry Blofeld (affectionately nicknamed Blowers), will be signing copies of his new book ‘Over and Out’ at The Bell Street Book Shop in Henley Town Centre at 12:30pm on Monday 21st May. A hugely popular and respected journalist, ‘Blowers’ established a reputation as a commentator with an accent, vocabulary and syntax quintessentially Old Etonian and has no doubt soundtracked many a cricketing summer. For more information on the event, please ask a member of staff in The Bell Street Book Shop.